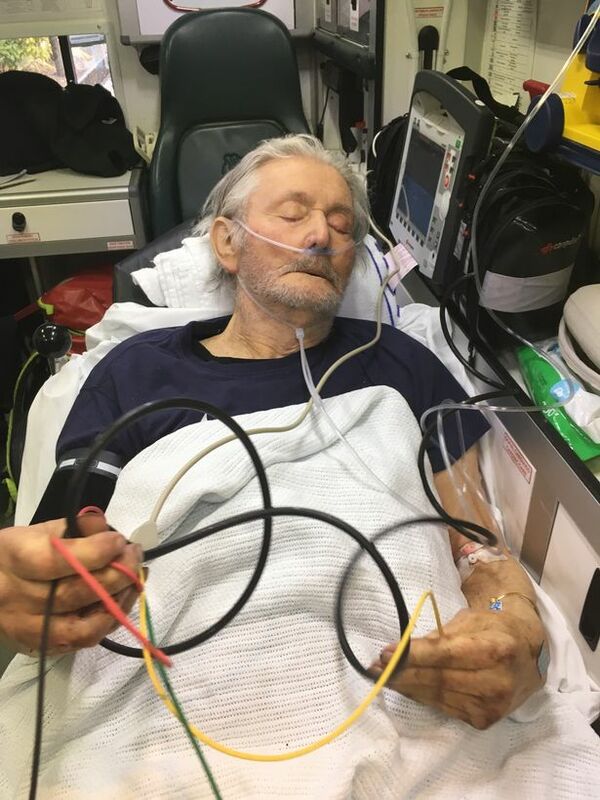 An 80-year-old man who waited 23 hours for an ambulance - then spent another seven on a hospital trolley - has died. The first 999 call came last Tuesday when John Williams fell at his home and injured his head on the kitchen floor. After over-stretched paramedics took nearly a day to arrive, Mr Williams then spent seven hours waiting to be admitted to south Wales's Morriston hospital. Mr Williams' wait happened the same day as ambulance crews lost 101 hours sitting outside the hospital because of delays handing over patients. The pensioner died on Sunday night - and his devastated son Darren, 48, says patients are dying despite the hard work of NHS staff, Wales Online reported. He said: “He was 11 hours on the kitchen floor and he did not have his medication for 36 hours. “I knew he was 80, but I expected him to come home this week. The Welsh Ambulance Service said a “full investigation” would be held, while Abertawe Bro Morgannwg University Health Board said Mr Williams was taken to hospital with “minor injuries”. The board said, however, he was admitted when his condition began to deteriorate and that their staff did all they could, but Mr Williams died a few days later. “I am a little bit raw,” his son added. “It was the last thing I expected - I can’t help feeling bitter towards the system. “It’s not the ambulance crew’s fault, they can’t do their jobs because of politics. “I was told the longest wait for an ambulance was 24 hours, there are a lot of delays that go unreported. “I was so wound up by the situation. There must be so many people going through the same thing. Mr Williams said that when his father was originally taken into hospital he claimed staff wanted him to be released the same day. “My father was admitted at 2.45pm and they wanted to discharge him at 5.30pm,” he added. Claire Bevan, director of quality, safety and patient experience for the Welsh Ambulance Service, said: “We would like to extend our sincere condolences to Mr Williams’ family at this very sad and difficult time. “We want to ensure a full investigation is carried out into the wait that Mr Williams experienced and we will be communicating with Mr Williams’ family. An Abertawe Bro Morgannwg University Health Board spokeswoman said: “We would like to offer our sincere condolences to Mr Williams’ family and friends. “We have spoken with Mr Williams’ family and urge them to contact us directly if they have any further queries or concerns about his care. “With the permission of the patient’s family we’re able to explain a bit about Mr Williams’ condition and care. “Mr Williams was brought to Morriston Hospital with minor injuries after a fall at home. “Following a thorough assessment and observations in the emergency department doctors couldn’t identify a reason for this fall. “However, later on Mr Williams’ general condition began to deteriorate and due to this doctors then decided to admit him to a ward for further tests and observation.